If you haven’t checked out the new Queer Eye yet on Netflix, we really highly recommend it, as all five of the guys are straight-up delightful. There always seems to be one weak link in the chain, though, and lately there have been some rumblings about food expert Antoni Porowski’s efforts to give the makeover guys the easiest possible recipes imaginable. For example, episode two’s Neal was tasked with making grilled cheese for his app launch party (with gruyere cheese, but still). And he still managed to scrap his knuckles across the cheese shredder. Another episode featured the outrage-ready selection of putting Greek yogurt in guacamole. The controversy even caused some discussion in our Takeout writers’ room. Personally, I put nutmeg in everything I can, especially a cream sauce, and am okay with the mustard. Peas I am iffy about, but as Kevin Pang pointed out, he just put some peas in risotto last night, so what’s the big difference? 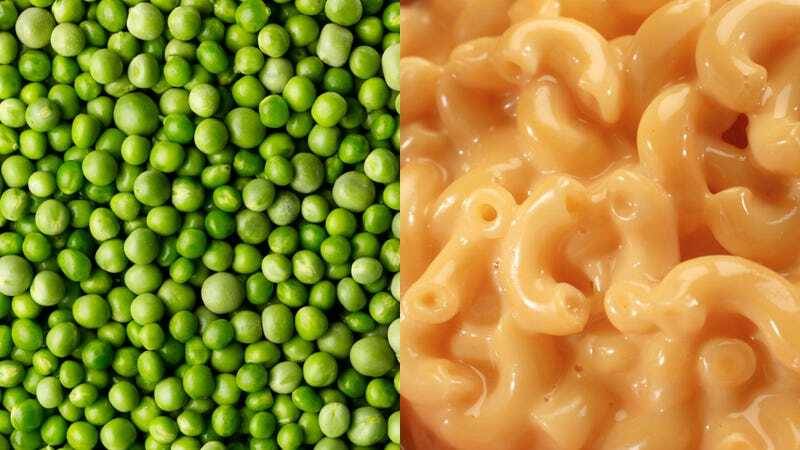 Couldn’t mac-and-cheese also be a kind of palette in which we can add things like mushrooms or butternut squash or bacon (according to our “How Do You Take Yours” on the subject)? Or should the dish stick to the basics for purists? So as unlikely as it seems, we can kind of see how Antoni’s seemingly innocent addition kicked off such a controversy.